St. John’s seeks to enrich people of all ages in their faith and well-being. If cost is keeping you from participating in an Adult Education opportunity, download the Education Scholarship Form. 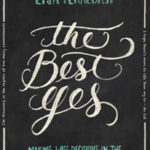 This Lent we’ll revive our souls in a discussion of The Best Yes by Lysa Terkeurst. If you’re feeling the stress of an overwhelmed schedule and aching with the sadness of an overwhelmed soul, plan to join one of our small group discussions. Groups will meet Thursdays at 7:00 pm, Saturdays at 10:00 am, and Sundays at 9:00 am. The study will take place March 7-April 14. Hop on over to stjohnskasson.org/best-yes to sign up for the time that works best for you. We’re also looking for leaders for each time, which you can indicate right on the signup. 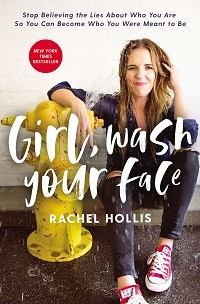 The St. John’s Moms’ group will be reading Girl, wash your face by Rachel Hollis. Anyone – moms or not! – is welcome to join in the discussions Sundays at 9:10 am or Thursdays at 12:30 pm. Details are at stjohnskasson.org/moms To be added to the email list and online group, contact Lindsay at lindsay@stjohnskasson.org or call the office.